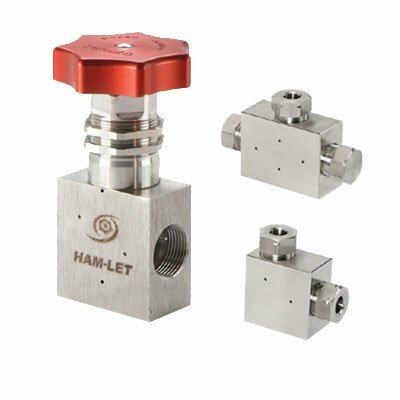 Ham-Let Group, a worldwide company, has produced high quality fittings, valves, and instrumentation solutions since its establishment in 1950. Our company standard of research and development, paired with our topnotch engineers has put us at the forefront of development. We have developed (HHP) line in order to fulfill the rapidly increasing demand for high pressure valves, fittings, tubes and accessories. The HHP products support the industry standard elevated pressures gas and liquid systems with working pressures of 10,000psi up to 150,000 psi, with tube sizes of 1/16” to 1-1/2” in various industries like Oil & Gas, chemical and petrochemical, laboratories and research, water-jet cleaning and water-jet cutting. HHP line can be provided in high tensile strength stainless steel and we consistently develop a variety of exotic materials and for sour gas applications. As with all Ham-Let products, the HHP line is backed by Ham-Let’s commitment to the highest quality-control standards and skilled craftsmanship. Tooling and Accessories for high pressure gas and fluid system assembling.